In marine environments, an overabundance of organic material and nutrients can lead to a condition called eutrophication, or over-enrichment of the system. Now that effluent discharges have moved from the harbor to the bay, most remaining pollution entering the harbor comes from its tributary rivers and runoff. 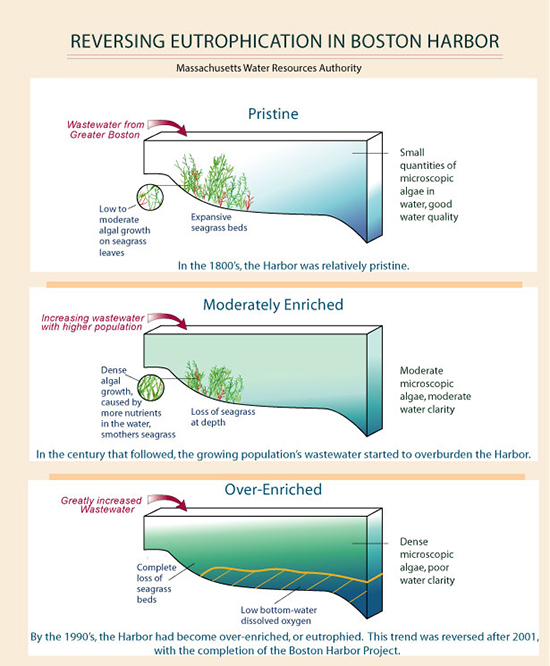 Since the Boston Harbor Project, the Harbor-wide average concentrations of most of the wastewater nutrients have been significantly lower than before the wastewater discharge was moved out of Boston Harbor. 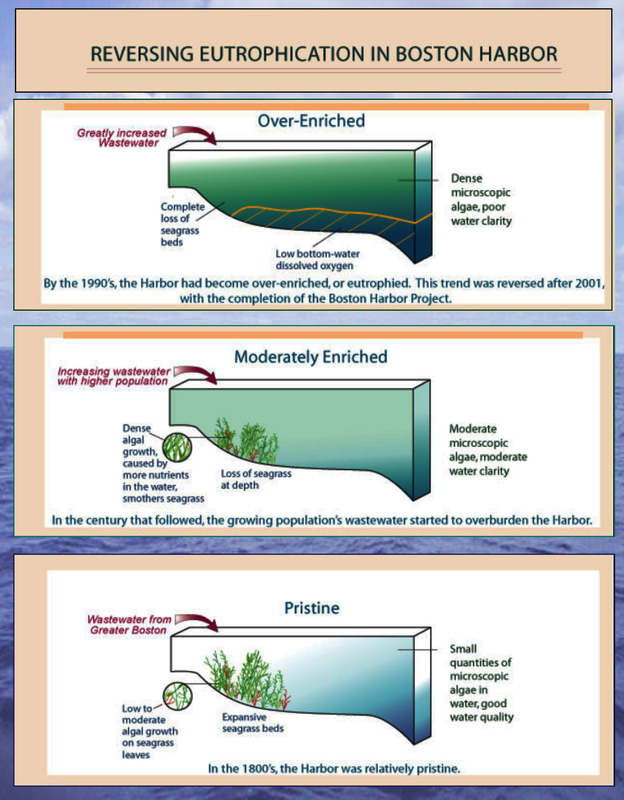 More information in this technical report on Boston Harbor Water Quality.